The government of Egypt has warned ISIS that it will not allow the terror group to "cut off the heads of our children" in response to the beheading of 21 Coptic Christians. President Abdel Fattah al-Sisi has called on the Union Nations to authorize a resolution to allow military aid for Libya in the battle against ISIS. "We will not allow them to cut off the heads of our children," Sisi declared in a radio speech, according to BBC News. Libya is caught in widespread turmoil with rival militant groups battling for control, while the internationally recognized government has been forced to abandon the capital of Tripoli and move to Tobruk. The unrest has allowed ISIS to move into the country. The terror group kidnapped 21 Coptic Christians in December and January who were living in Libya at the time, and earlier this week posted a video that showed the militants beheading the men. The video was titled "A Message Signed With Blood to the Nation of the Cross," and posted throughout ISIS' social media network. Egypt responded in authoritative fashion to the terror act, and sent war planes to bomb camps, training sites and weapon storage areas in Libya held by the jihadists just hours after the release of the video. "Egypt and the whole world are in a fierce battle with extremist groups carrying extremist ideology and sharing the same goals," al-Sisi said, and declared seven days of national mourning for the murdered Christians. He vowed that the airstrikes on ISIS will continue, but also called on the U.N. to allow military aid to enter the region. 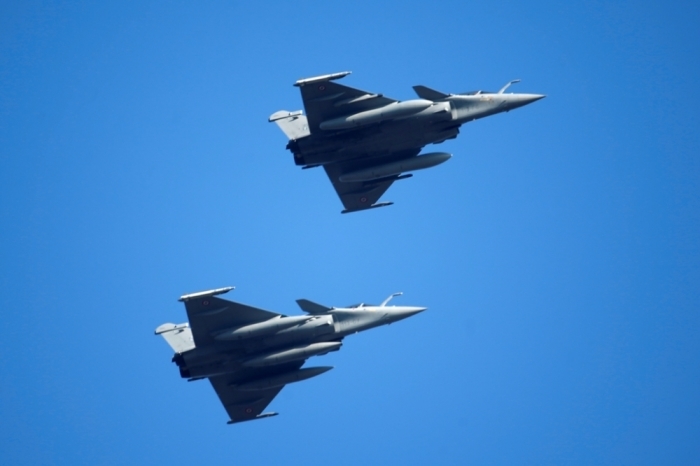 The Egyptian government on Monday signed a $5.9 billion deal with France, allowing the purchase of 24 advanced fighter jets, which will help in the operations. Persecution watchdog groups condemned the deaths of the Coptic Christians, with Church leaders such as Ibrahim Isaac Sidrak, the patriarch of Alexandria of Coptic Catholics, declaring the men "martyrs for their faith." Vatican leader Pope Francis added: "The blood of our Christian brothers and sisters is a testimony which cries out to be heard. It makes no difference whether they be Catholics, Orthodox, Copts or Protestants. They are Christians! Their blood is one and the same. Their blood confesses Christ," Francis said. 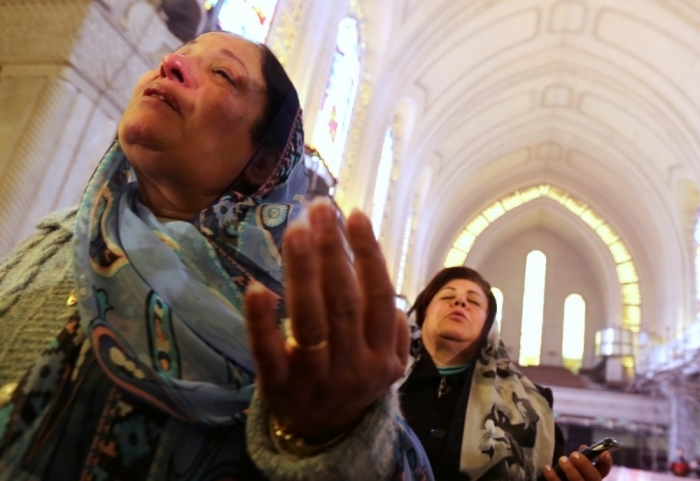 Egyptian newspapers largely backed their country's immediate response to the terror act, arguing that there must be justice for the murdered Christians. "Revenge at dawn," wrote the Al-Misri al-Yawm newspaper, while state-run Al-Ahram said that the bombings are in response to "barbarism" committed by ISIS. BBC added that both Christians and Muslims have united in Egypt over the killings, viewing the attack as an offense against the entire nation.